A viral photo posted by the electric cooperative on its Facebook page shows the dead gecko stuck on the pole. 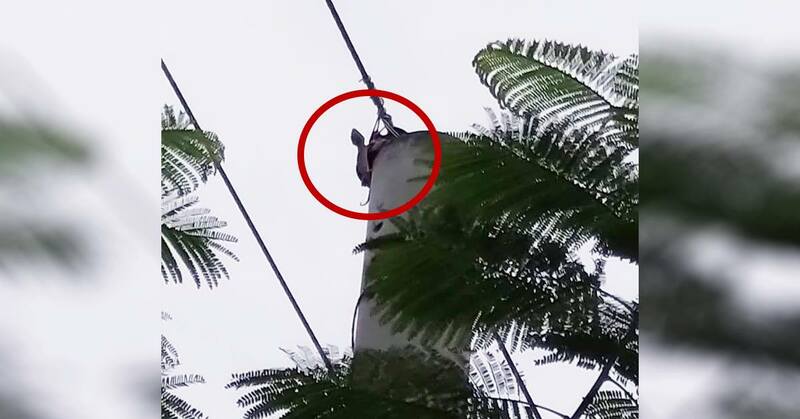 The Palawan Electric Cooperative (PALECO) said the early Friday morning power outage that affected some areas in Puerto Princesa City was caused by a gecko that got caught in an electrical pole wire in Barangay Sta. Monica. PALECO spokesperson Claire Guludah said the skink caused the tripping of DMCI power generating units which resulted in the 5:51 a.m. electricity outage in the city up to the reclosers in Barangays Sta. Monica and Iwahig. “Yon ‘yong reason ng pagkawala ng kuryente, may sumabit na tuko sa linya ng kuryente (It was the reason for the power interruption, a gecko got trapped in an electrical wire),” said Guludah. She said power was restored in Iwahig at 6:57 a.m. and 6:59 a.m. in Sta. Monica. The incident followed the power outage on January 10 which occurred shortly before 9:00 p.m., affecting reclosers in the GMA and Poblacion circuits — Solid, Cabiguen, and Nadayao reclosers. Electricity in the areas was restored between 9:00 p.m. and 9:05 p.m. The early Friday morning power interruption was followed at 2:53 p.m. by an outage in the R6 recloser from Barangay Ipilan, Brooke’s Point to Sofronio Española and Bataraza due to a line fault, a PALECO advisory said. “Nawalan ng power ang R6 recloser — Ipilan, Brooke’s Point hanggang Sofronio Española) — dahil sa line fault, kasamang nawalan ng power ang R7 recloser (Ipilan, Brooke’s Point hanggang Bataraza) dahil nadamay sa pag-trip ng National Power Corporation (NPC) breaker,” the advisory said.